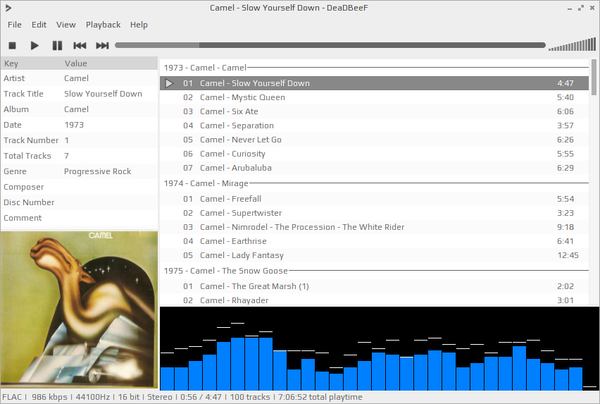 DeaDBeeF is an audio player using GTK+. Through use of the ffmpeg libraries, it supports many formats. It also supports cuesheets, chiptune formats with subtunes, song-length databases. It can be extended using plugins (DSP, GUI, output, input, etc.). The GUI looks similar to Foobar2000.